This Time Next Year for Nine Entertainment Co.
News Articles > This Time Next Year for Nine Entertainment Co. 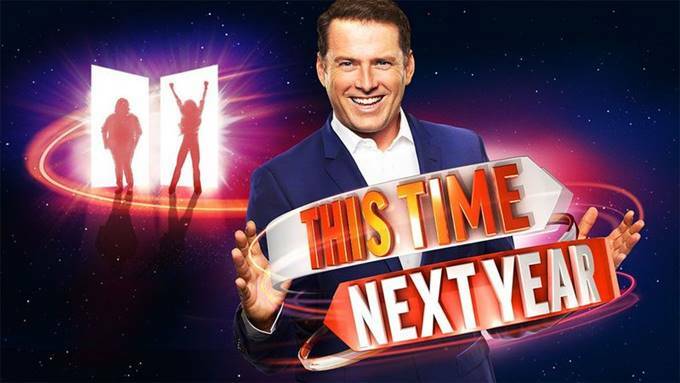 Throughout 2016 Palatine Productions were thrilled to work on the exciting new Nine Entertainment Co. series, “This Time next Year”. Ian Withnall was chosen to be the Brisbane based Shooter/Producer to cover the long running narrative lines in a broad array of extraordinary and uniquely personal stories. Some of the stories Ian covered were Tiffany Cameron, who will pull a plane. Mel Goh who wants to be a stunt woman. 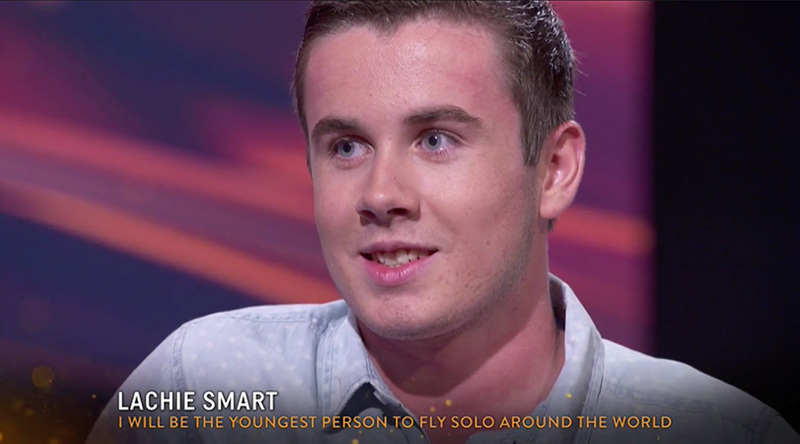 Lachie Smart, who pledges to be the youngest pilot to fly solo around the world. Bede Durbidge who pledges to return to Professional Surfing. Sharon Boulton, who wants to get a drivers license in her 40s. Ned Heaton, who will enter a painting in the Young Archie Competition, Para Olympian Bill Chaffey who pledges to win a Gold Medal at the Rio Olympics, and Country singer Adam Brand who needs to conquer his fear of horses. Tracey Patrick makes her pledge in the TTNY Studio. The most significant and heartfelt story that Ian produced was the Tracey Patrick story. 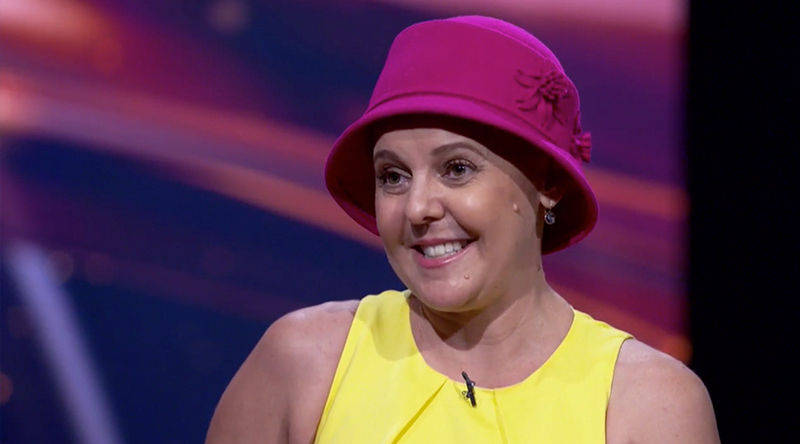 Tracey and her family are facing the most difficult journey, fighting a terminal diagnosis. The Patricks allowed Ian intimate access to their lives on many occasions to film Tracey’s pledge to make their way through a bucket list. Ian was present through some very difficult times for the Patricks, filming while Tracey was getting scans and receiving results from her Oncologist. There were also moments of intense warmth and celebration like the dancing lesson, possibly one of the most romantic sequences Ian has every produced. It was a genuine honour to be a part of the Patrick’s life for their year and to view an extended clip of the back story, predominantly produced and shot by Ian Withnall, CLICK HERE. With contributors in Brisbane, the Gold Coast and Sunshine Coast being periodically filmed, Associate Producer Sharen Kenny also worked behind the scenes assisting the great team at Nine in coordinating locations, travel and data transport. Additionally we provided our extensive broadcast spec camera equipment and facilities which meant Palatine Productions were fully engaged in the project. “This Time Next Year” is a heartfelt, positive and inspiring show. Premiered Monday July 31st 2017 and is currently on air Monday nights at 8.45 pm on Channel Nine. Click HERE to watch episodes and clips from the show. 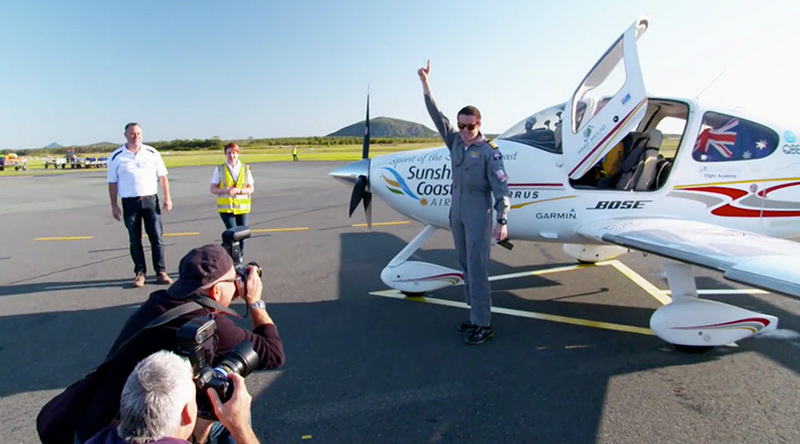 Lachie Smart arrives safely home and fulfils his pledge and gets the Guinness World Record for being the Youngest Pilot to fly solo around the world. 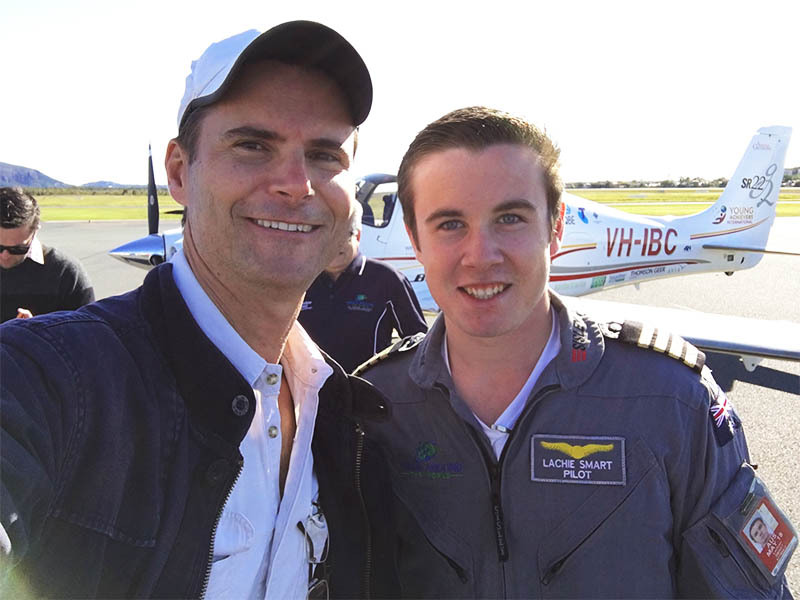 Ian Withnall with Lachie Smart – the youngest pilot to fly solo around the world. Mel Goh making her pledge to be a Stunt Woman in the TTNY Studio with Karl Stefanovic. 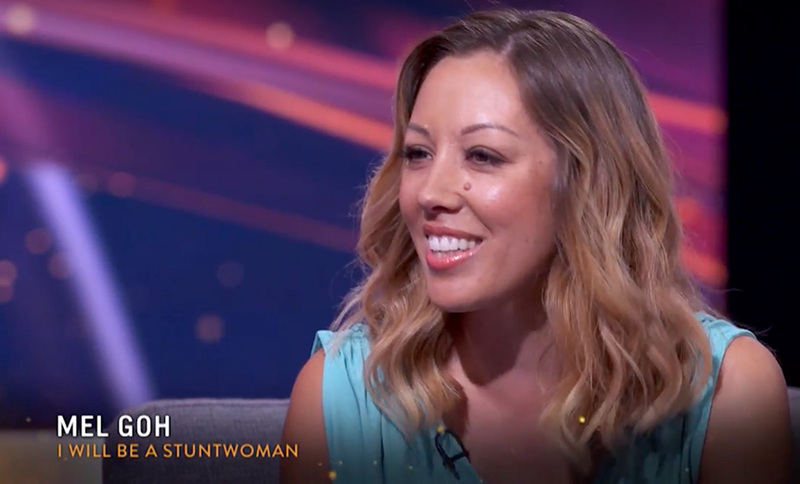 Click HERE to see the back story produced and shot by Ian Withnall on Mel Goh, the stunt woman. 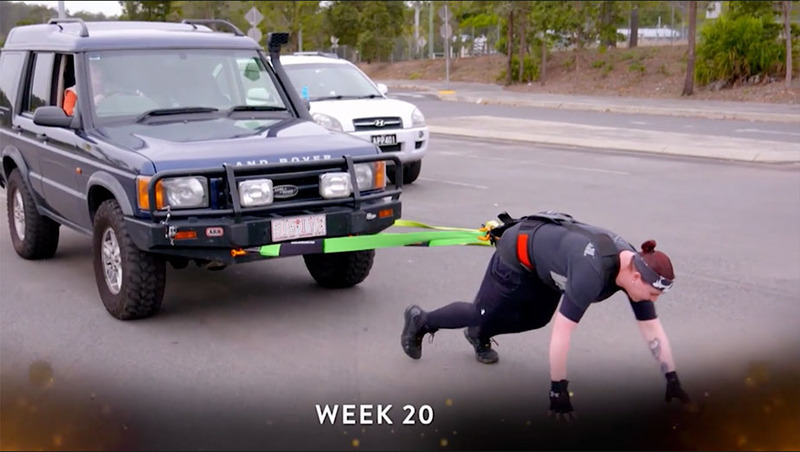 Tiffany Cameron practices for her pledge to “Pull a Plane” using the mighty Landie, the Palatine Productions Crew Car.